Developing Drupal websites? Get social sharing buttons and offer analytics to your publishers. Get Shareaholic for Drupal. We are thrilled to announce that Shareaholic’s social sharing and content discovery tools are now available for Drupal! Of course, with Shareaholic’s website code, we are compatible with every CMS. But now it’s easier than ever for Drupal publishers to get our tools right from the Drupal store, and that makes us very excited. 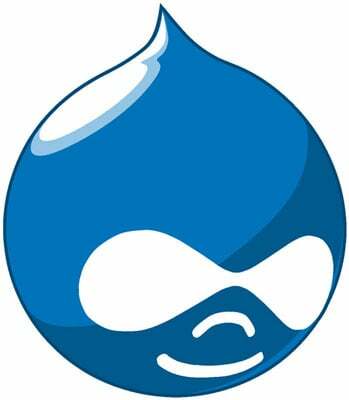 Drupal is a free and open-source content management system (CMS) and content management framework (CMF) written in PHP. It is used as a back-end system for around 2% of all websites, ranging from personal blogs to corporate, political, and government sites. A few examples of Drupal websites include Whitehouse.gov, FastCompany.com and our friends over at Boston’s own GreenhornConnect. Here are more examples of Drupal websites. The standard release of Drupal, or Drupal core, offers basic content management system features like user accounts, menu management, page layout customization options and more. These include user account registration and maintenance, menu management, RSS feeds, page layout customization, and system administration. The Drupal core installation can be used as a brochureware website, a single- or multi-user blog, an Internet forum, or a community website providing for user-generated content. There are around 16,000 community-contributed addons (known as contrib modules) available to alter and extend Drupal’s core capabilities and add new features or customize Drupal’s behavior and appearance. Why Use Shareaholic for Drupal? More than 200,000 other websites find us useful for social sharing and content recommendations, making us one of the most popular WordPress plugins. We’re thrilled to bring our useful product and delightful user experience over to Drupal community, plus offer analytics to those publishers to help them improve their content. Get Shareaholic for Drupal from the Drupal marketplace. And just we said, every publisher who uses Shareaholic, you will get access to your own publisher analytics dashboard with Shareaholic publisher analytics. Activate analytics within the Shareaholic module and head over to Shareholic.com to check out your stats in your publisher analytics dashboard. Analyze your content and see what your most popular posts are. Replicate success – rinse, lather, repeat and grow that audience. Do you use Drupal for your CMS? How can Shareaholic be more useful to you? Let us know in the comments.